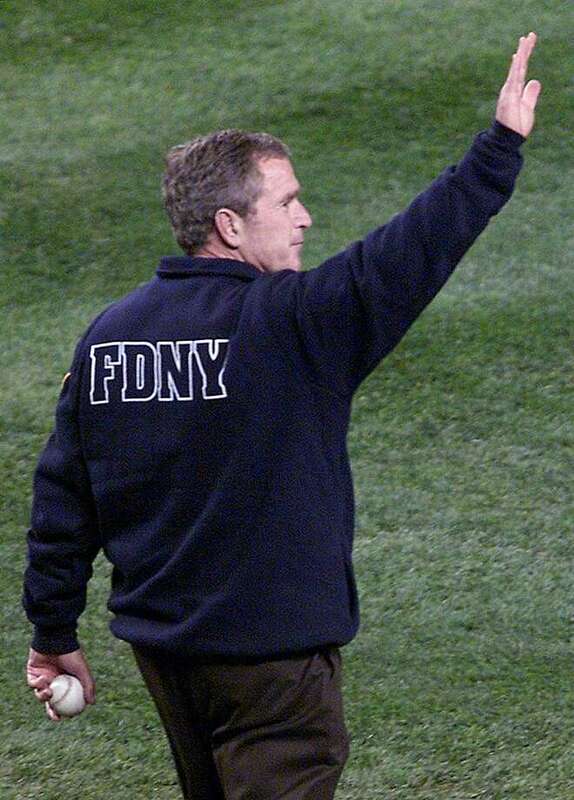 ESPN put together a 25-minute, documentary entitled, “30-For-30 Shorts: The First Pitch” (link to video below), that features George W. Bush as he recounts throwing out that ‘First Pitch” in New York three weeks after the September 11, 2001 terrorist attacks. This video was a walk down memory lane that started out with total devastation. Because we had a real America-loving, God-fearing Christian man as our president in The People’s House at the time, he brought America together as New York’s Twin Towers came tumbling down. His great courage, uplifting words and actions catapulted our country into a stronger nation, a united nation, despite all the evil that surrounded us at the time. Hats off to George W. Bush for being a true leader, a leader we could depend on and trust, and a leader who brought America together and united us under extreme adversity. May God bless him and his family.